Hey there, blog friends! I hope that you've had a great week so far! 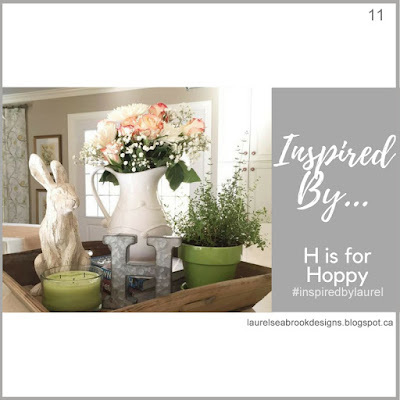 Today my crafting friend, Laurel, asked me to be a guest at the Inspired By Challenge blog! I had the day available on my schedule, so I was able to say yes. I think you are going to love this week's inspiration photo! 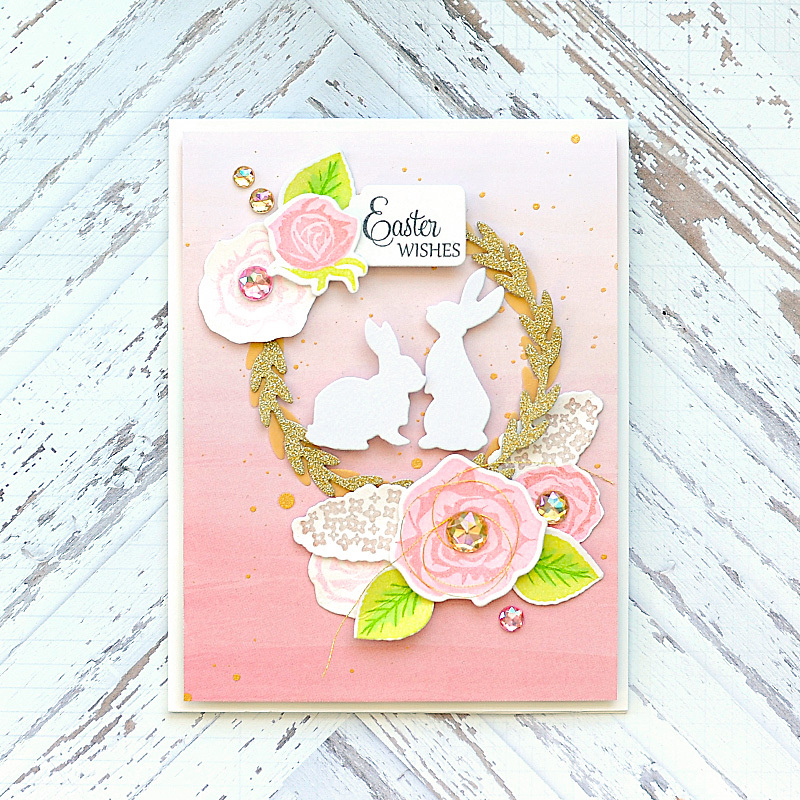 I just love the soft colors, and that while Easter themed with a bunny, it isn't overly cutesy. 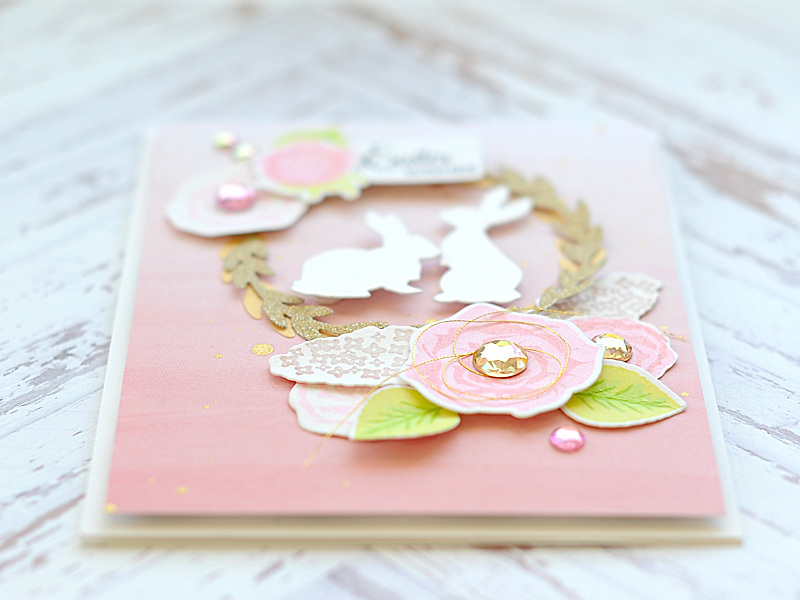 I broke out some older WPlus9 stamps & dies for my card today, which has been one of my favorite things to do lately. 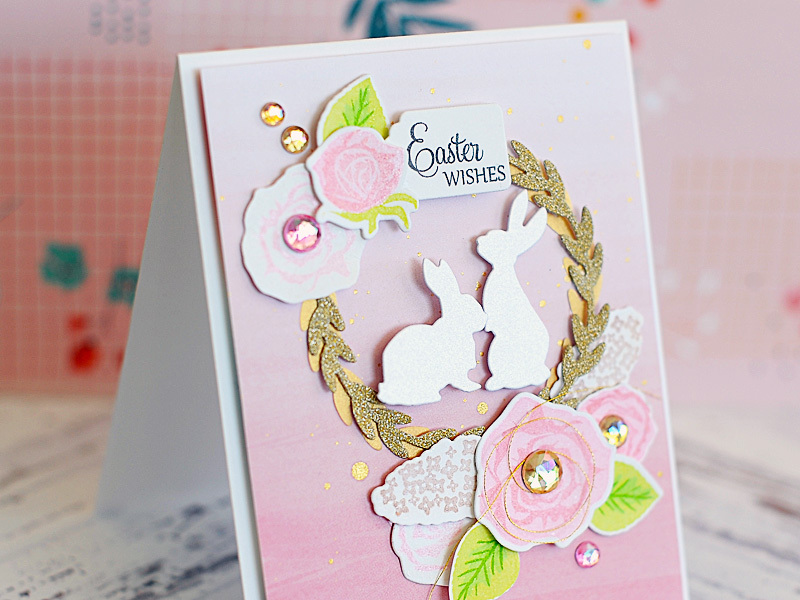 There are so many releases every single month, and while I love working with all the new products...sometimes it is really nice to use items that haven't seen a lot of love lately! Here is what I created using the Inspired By #11 challenge, and WPlus9 goodies. To start I cut & folded an A2 card from white heavyweight cardstock. I trimmed a block of pink ombre paper slightly smaller, and mounted it to a block of fun foam with 2-inch ScorTape (the paper I used is from an older collection that is no longer available. You can easily substitute it with a paper that is newer, or create an ombre background yourself!). Then I flicked some gold splatters to it using Heidi Swapp Gold Lame color shine. Once it was dry, I adhered it to the card front. Next I stamped all the flowers & leaves. I used Delicata shimmer inks for the flowers, and Catherine Pooler inks on the leaves. All of the different colors I used are linked below - it made my link list fairly long, but I want to make sure you know all the different items I've used! 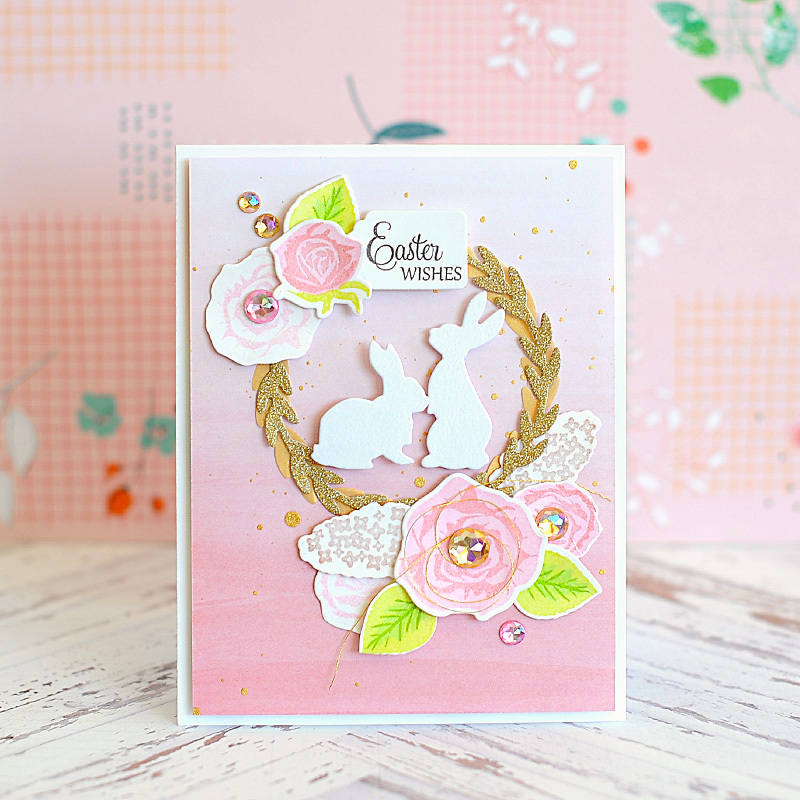 :) I used my MISTI when stamping, because it allowed me to stamp multiple items at one time - which definitely saves some time! After stamping, I diecut all the flowers & leaves using the coordinating dies. I also diecut the wreath twice - once from gold glitter paper, and the other from gold vellum. 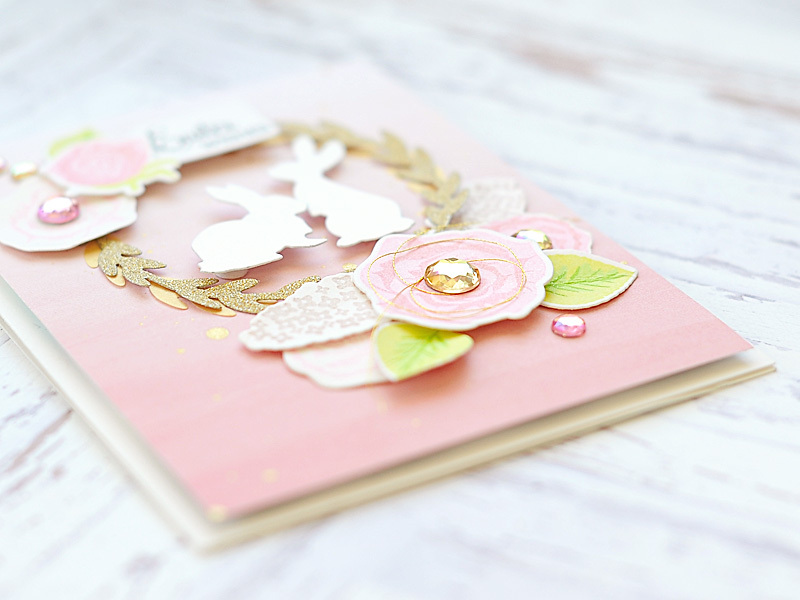 The bunnies were diecut from white shimmer cardstock. And lastly, I diecut the tag from white heavyweight cardstock, and then stamped the sentiment to it. With everything stamped & diecut, I arranged them to the front of the card. I started with the 2 wreaths, then layered all the flowers. 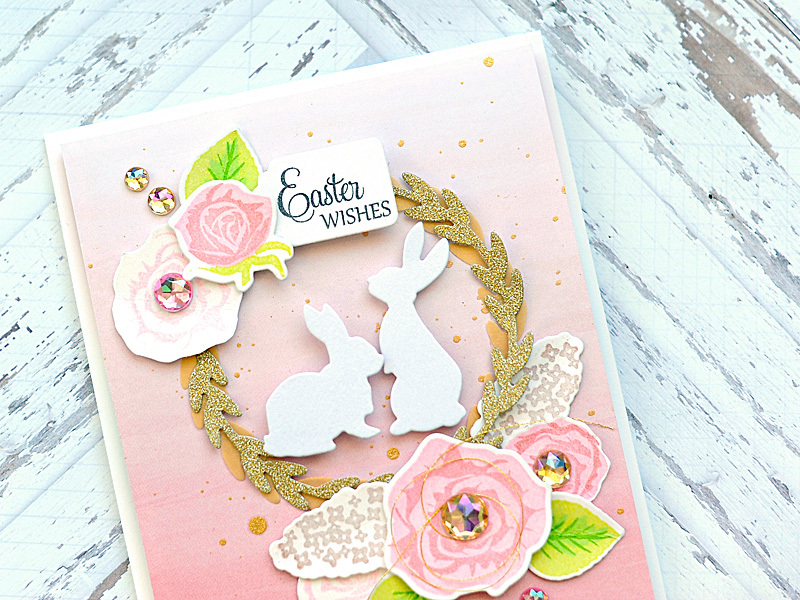 Lastly, I added the sentiment tag & popped the bunnies in the middle of the wreath with foam dots. The final step was accenting with a knot of gold thread & my signature jewels tucked here & there. That is my card for today's post! I hope that you enjoyed my card, and I hope that you will play along with this week's Inspired By challenge. I can't wait to see what you create! On one final note, I just wanted to let you know about a sale at Ellen Hutson! All inks & reinkers are 20% off! 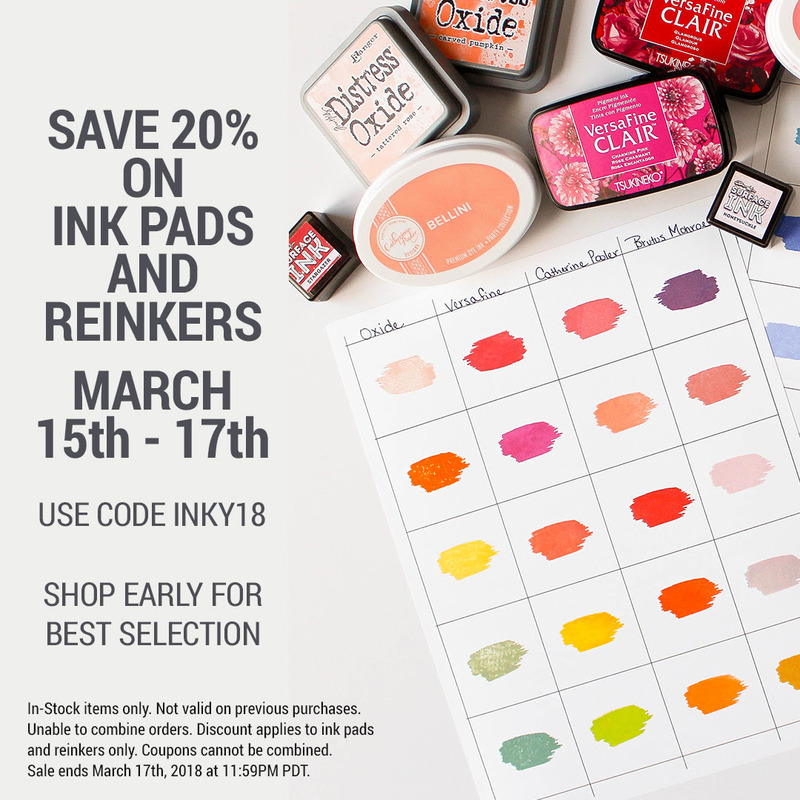 It is a great time to pick up these beautiful Delicata shimmer inks that I've used today, or the amazing line of Catherine Pooler Inks! It also includes Distress Oxide inks, so it is a great time to grab some of the inks that have been on your wish list! This is so pretty Lea! Thank you for guesting! I love all your layers as always, gorgeous! 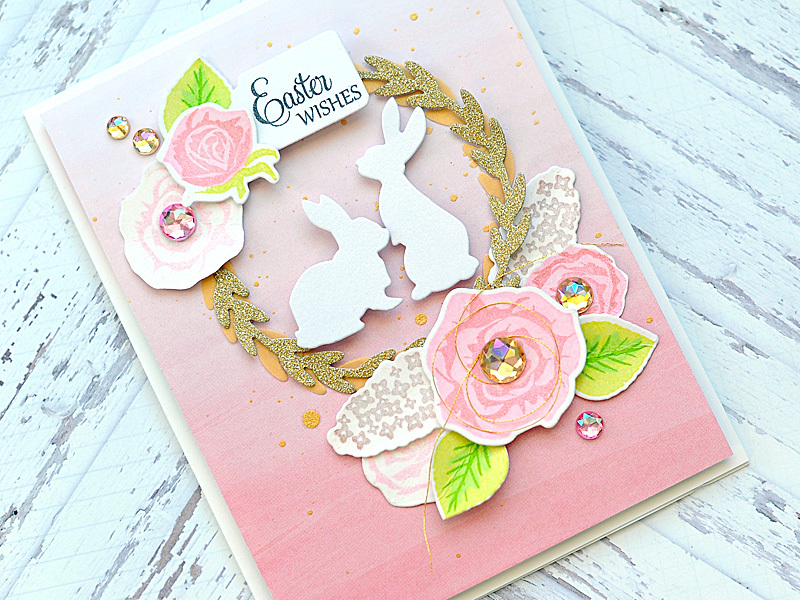 Your ombre background is beautiful Lea and I love all of the little Easter-themed details. 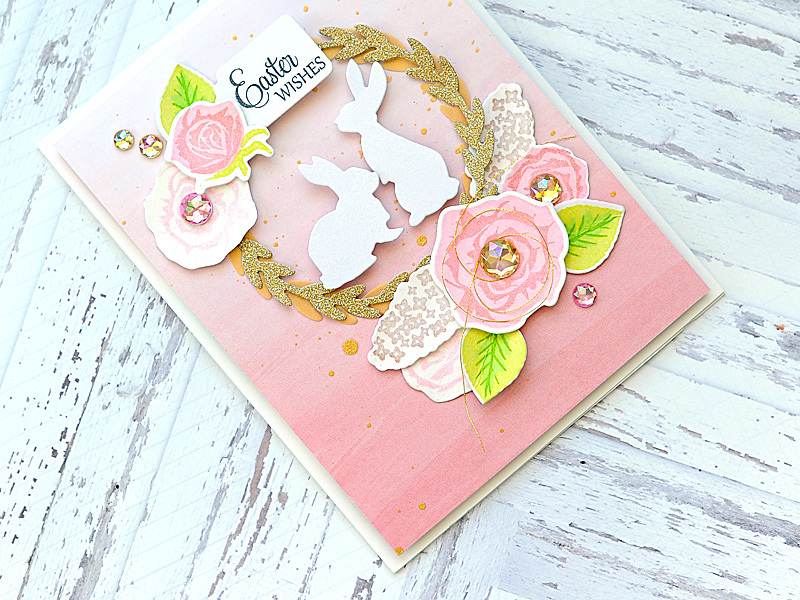 Thanks for joining in with my Shades of Pink challenge over at The Paper Players this week! 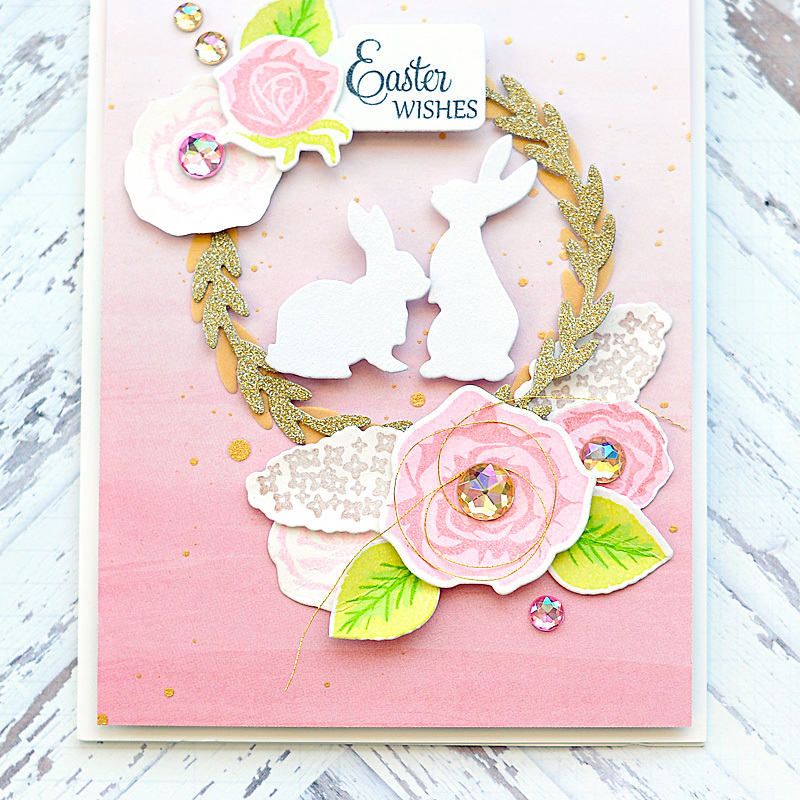 What a fabulous Easter wreath... all the elements are priceless! Thanks so much for joining us at The Paper Players this week! This is a beautiful card. I love the colors. 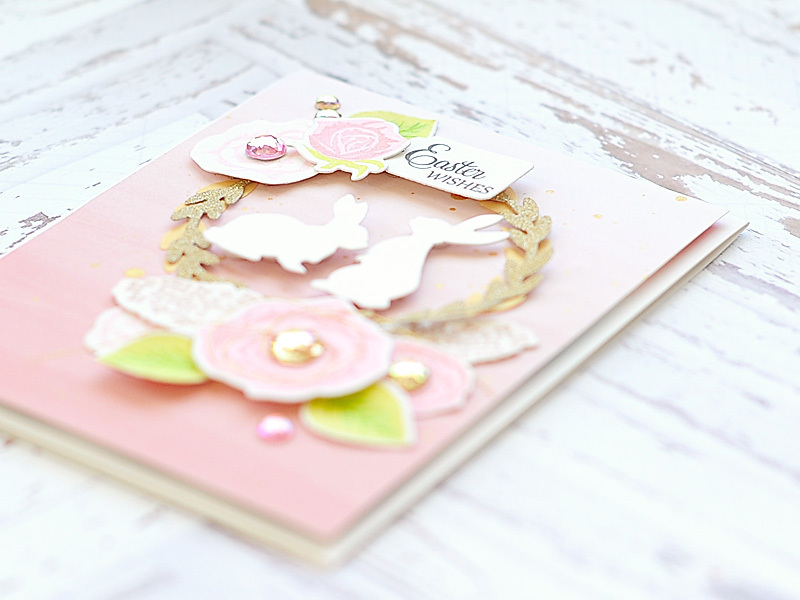 This is such a lovely card! I love the structure and how you combined all the shapes and elements in such a visually-pleasing way. The colors are beautiful and the bits of bling you added give it such a sophisticated touch. This was so fun to see and I"m so glad you shared your talents with us for this week's Simon Says Stamp Monday Challenge!